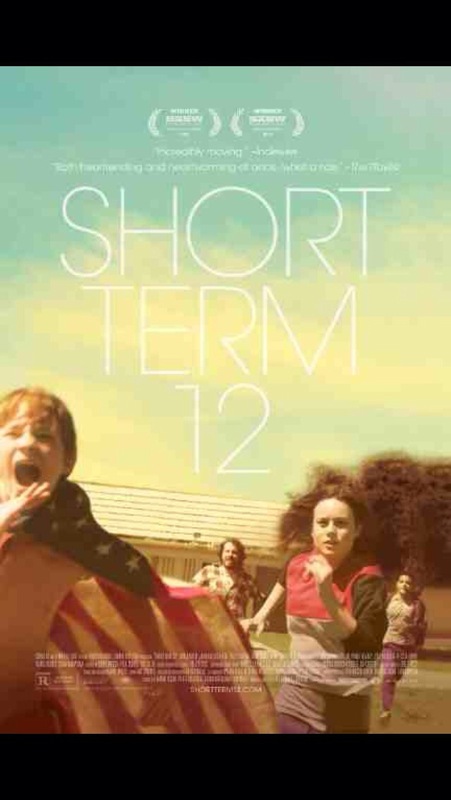 The film is about the residents and staff of a children’s short term care home, which I’m guessing is one of at least twelve. It features some outstanding performances from a mostly young cast and has a great deal to say about childhood and parenting without being preachy or heavy handed. The interactions between the adolescents and the adults are totally believable, sometimes centring on fun, sometimes tragedy and sometimes both at the same time. It’s a bit like Tracey Beaker meets One Flew Over the Cuckoo’s Nest. Grace, the senior care manager, is dedicated to the kids, treating them with benevolence, patience and a sense of humour – kind of the opposite of Nurse Ratched in One Flew Over the Cuckoo’s Nest. Grace has been through the system herself and presents hope for the children while privately nursing her own neuroses. Grace is in a relationship with Mason and they have a sweet but realistic romance. Mason also works at the care home and has a couple of fun stories to tell. New resident Jayden also has a story to tell, it is a children’s story about an octopus but it isn’t fun. The film highlights the different depictions of children in cinema by having the residents sit around watching ‘The Little Rascals’ on TV. There is a little subplot which is ultimately a bit predictable but the rest is so good you don’t even notice. The film is simply told but is beautiful and powerful and is better than some of the films nominated for Oscars this year, see it.